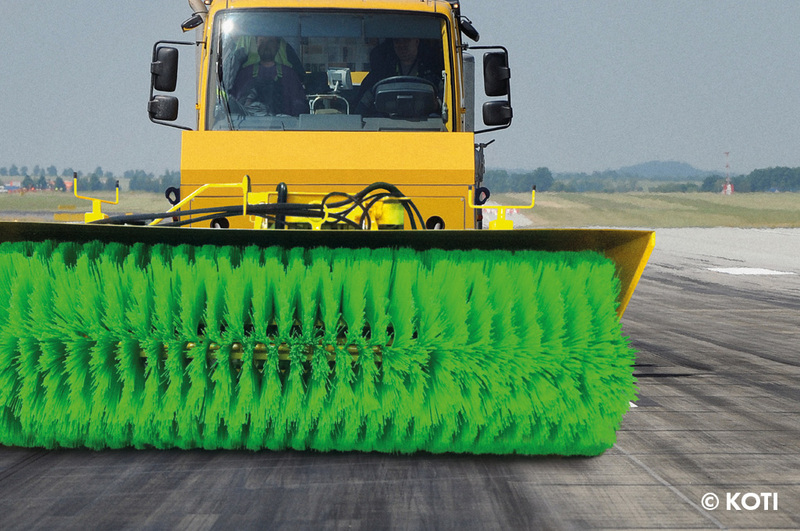 During winter months KOTI runway brushes are indispensable on airports and airfields. Runways soon become unusable with snow and ice, so to ensure airplanes can take-off and land safely, runway brushes or airport brushes are used as a part of the cleaning routine. These brushes are produced from high quality materials which are resistant to all weather conditions. KOTI runway brushes not only remove snow, but also other objects such as debris from operating areas. As we manufacture the airport brushes in house, we can supply airports directly and are one of the main airport suppliers worldwide.